Will is a project manager for Solar Fire and has worked in Design (CAD), Construction and Fabrication in the US & UK, project planning, logistics and management of industrial sites. 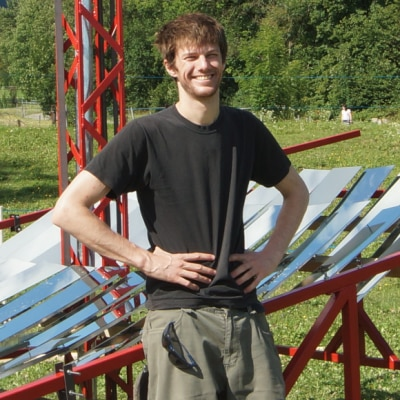 William has developed solar concentrators in two different states in India, Switzerland and Finland. He has a degree in maths and languages from the University of Hull, UK. Solar Fire is an Autodesk Foundation grantee with the goal to minimize climate change damage by breaking down the barriers to solar energy access. Through innovative design and a focus on accessibility they are overcoming cost and complexity barriers in humanitarian, commercial and industrial contexts. At Pier 9, they will develop a small scale, high- efficiency solar concentrator connected to a desalination device that can create clean water economically.